It can be a drag when you get all the way up I-70 to only be turned around by a road closed sign or terrible conditions that you’re not prepared for. Preparation is key, and if you’re not ready for the road, you’re better off staying at home. 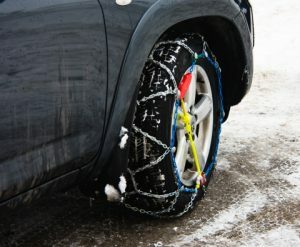 Colorado is pretty good at making sure the drivers out there on the snowy and ice-packed roads are prepared for conditions that are unbearable, which may be why the Colorado Department of Transportation is enforcing a new snow tire requirement heading into 2016. 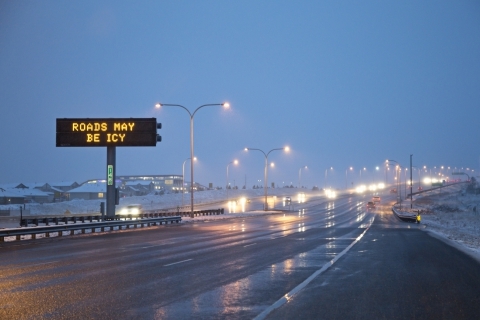 If you are familiar with Denver, then we’re sure you know all about the I-70 corridor, and that it is a very challenging corridor with high volume on the weekends and extreme weather dumped into the mix. But to be clear, it’s not just the weather that causes the delays; accidents are one of the main reasons for the grueling delays along I-70. According to CDOT, minor accidents may only take about 10 minutes to clear, but this 10 minute delay can actually cause major traffic delays up to an hour for those stuck behind the wreck. It’s important to understand that this law is enforced for your safety, and that it will be in place during most winter weather conditions. During a severe winter store along I-70, a “Code 16” will be enforced as a last resort of traveling before closing the road. During the code enforcement, there will be no exceptions; every vehicle must be prepared for the code to be enforced. Although this law may seem like a bit much for some drivers, the law is the law, and there are no exceptions or exemptions to it. The best way to come to terms with this new law is to make sure that your own car is prepared. If you aren’t too sure what any of the above gibberish means, it’s time for you to make an appointment with Denver’s leading Volkswagen service shop. We will update your tires, order your parts and do what we can, as fast as we can, so you don’t have to miss a weekend of fresh powder at your favorite mountain resort along I-70. Contact us online today for more information.